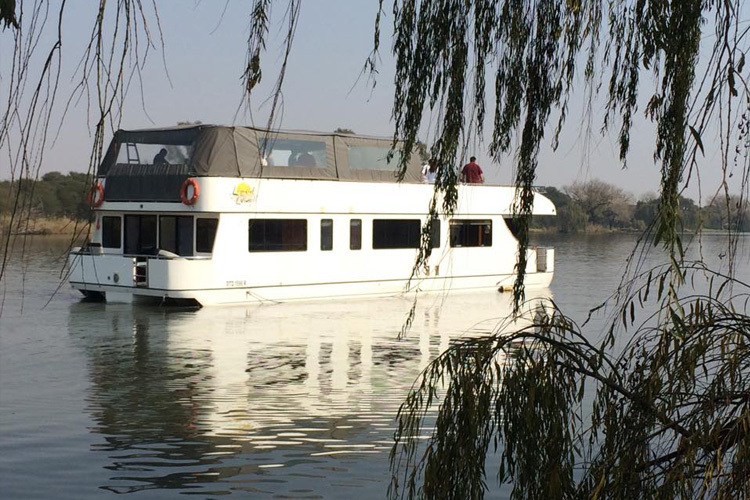 Houseboats are a fairly new concept in South Africa. This multi-purpose retreat is probably the best solution to river/lake property ownership. Your maintenance is minimal, and your scenic view is always changing. Step into your dream of a Houseboat with a luxurious model from Shelter Marine. Shelter Marine is a limited production builder that has the ability to take on unique custom built houseboats, ensuring unparalleled quality, detail and customer service. The entire boat is fibre glass. Advanced technology gel coat and Isopholic resin is used for superior bonding and exceptional flex. We can provide almost any houseboat feature. Our current demo unit used for Charter can be viewed at the Emerald Resort & Casino in Vanderbijlpark, South Africa.